Were you at the University Laval event on the physics of Thermal Analysis? Last thursday January 28th, MetSoc student chapter at University Laval hosted this memorable beer and pizza event on the physics of thermal analysis, which was lectured by David Sparkman ( MeltLab). Can you tell what the gentleman on the left is holding on the photo? No, it’s not a beer funnel. MetSoc team and MeltLab from left to right : Jonathan Frenette-Marcoux (Ulaval), Yohan Tremblay (SF), David Sparkman (MeltLab), Maude Tremblay (Ulaval), Simon Gélinas (Ulaval), François Audet (SF) and Alexandre Dumas (Ulaval). Background is a screenshot of MeltLab nodularity test for ductile iron. Professors, graduates and under-graduate totaling around 30 passionate metallurgists could learn and share on thermal analysis around good beer and tasteful pizza. 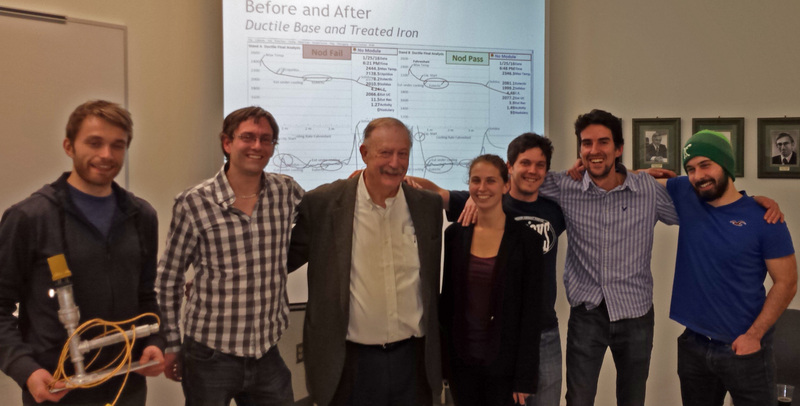 It feels awesome to contribute to the life of our great metallurgy engineering department at Laval. Thank you so much again guys for the impressive organisation! We felt like home. This lecture at Universty Laval ended a very successful two-weeks business trip around the province of Québec for David Sparkman with the SF team. It was also the first MeltLab installation in a foundry for the SF team. Ok, it was the 520th or so for David Sparkman but hey, everyone needs to start from somewhere. Now that we have a full-time equipment as a demonstrator with us in Québec, you can ask a demo at your foundry or order a TA service on your metal in order to add value to your process. 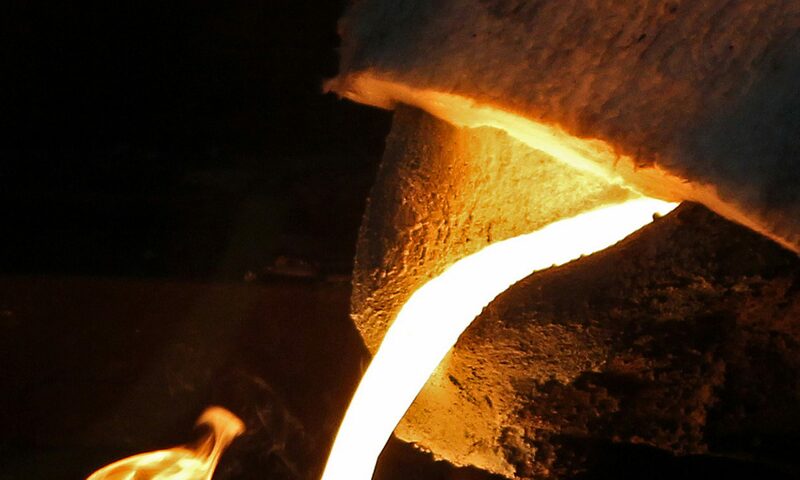 Why not understand your metal for more consistent castings? Our goal is to add great value to aluminum, steel and iron foundries here in Canada. We had great discussions with smelters and research centers so that they can benefit as well! Thank you again to you guys from University Laval ! You have a very exciting and dynamic MetSoc chapter. We can’t wait to attend your next event on casting simulation. Please keep up the good job! Next article on SF blog will discuss how mechanical designers work with SF foundry metallurgists in order to decrease their manufacturing cost, and make more money. Yes, we’re thrilled to employ our expertise to this new market in 2016. Next PostNext Pre-Launching the SF Casting defects app on your mobile phone !